The Report SCARA Industrial Robots: Global Market 2016-2021 gives a detailed analysis on the global market for SCARCA robots. The report examines the worldwide market of SCARA robotics through a comprehensive review and analysis of reliable information sources. In addition to the economic environments in the world, this report provides an in-depth and detailed analysis of market structure, the major industrial players/vendors, end-users, geographical landscape, and market forces. In most cases, historical statistics together with market outlook cover the 2014-2021 period. The report will help in making strategic business decisions to leave, expand or enter the market. The top players of the market are ABB Ltd., Fanuc Corp., Kuka AG, Yaskawa Electric Corp., Adept Technology Inc., Mitsubishi Electric Corp., Toshiba Machine, Denso Wave, Staubli International, Epson Robotics and Kawasaki. SCARA robots stand for Selective Compliance Articulated Robot Arm. 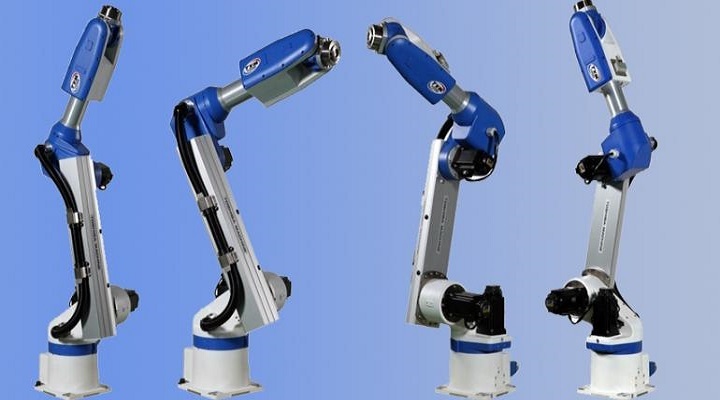 SCARA robots are a popular choice for small robotic assembly applications. The configuration of these robots is unique and are equipped to handle material operations. These robots are compliant in X-Y axis and rigid in Z axis. These SCARA robots are used where there is a requirement for higher speed and higher accuracy since they can operate at a higher speed and optional cleanroom specification. The main advantage of SCARA robots is in terms of repeatability, where it can achieve up to tolerance lower than 10 microns unlike six – axis robots. Thus, these robots are suited best for smaller field of operations with smaller floor space making it easier to re – allocate applications. The SCARA robots are circular in shape and thus doesn’t suit all type of operations. They have limited flexibility compared to other robots. Payload capacities and flexibility in their arms makes it easy for them to stack up material. Hence, they find use in packaging and stacking items. These SCARA robots are commonly known as 4 axis friend. They are constantly undergoing changes and are adapting to the new innovations and learning from customer setbacks. These days, SCARA robots are personalised as per needs as well. The growth of this industry is influenced by various factors like usage of these robots in manufacturing industries, automotive industries demand, ever evolving technological advancements in robotics and reduction in custom duties. However, high cost of industrial robotics solution is a major impediment to the growth of all type of robots, let alone SCARA robots. SCARA robots have increasingly found use in the automotive and manufacturing industry. But lately, they are most frequently used in the food and beverage market as well and is expected to see the highest growth rate in the future due to the high growth in the food and beverage segment itself.